The American Black Bear has a wide range. They are found along the eastern seaboard of North America from Alaska to Northern Mexico and in parts of western United States. They are very adaptable so they have learned to survive in closer proximity to humans than many other wild creatures. This very trait that helped them survive for millions of years, now is putting them on the path to extinction. 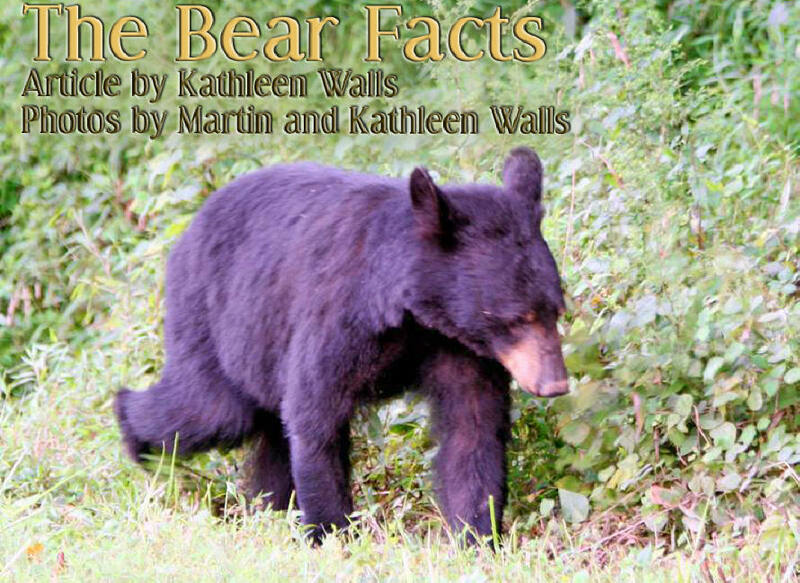 Based on FWC's own projections, the Florida black bear is destined lose 2.3 million acres of habitat by 2060. Already, thanks to overdevelopment in their habitat, bears only have 18% of the habitat they once had, so naturally there will be sighting of bears in Florida neighborhoods. A few safety points are: avoid getting between a mother bear and her cubs, never feed them and do not leave food where they will smell it and be drawn to it, do not try to get too close. 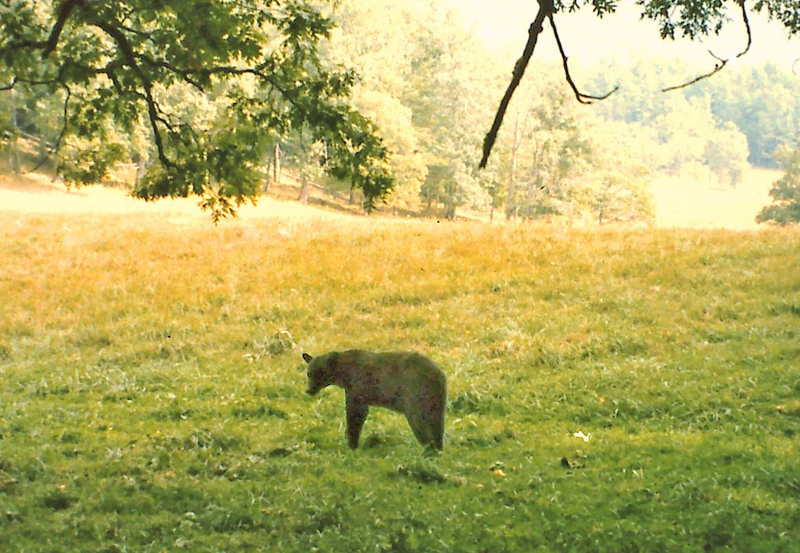 Normally, bears are shy and will avoid humans if possible but if you do cause it to exhibit aggressive behaviors such as running toward you, making loud noises, or pawing the ground that indicates the bear is trying to get more space. Don't ever run just slowly back away while keeping your eyes on the bear. As you move away, the bear will probably do the same. I have enjoyed seeing these remarkable creatures in the wild occasionally, as well as in refuges and zoos. 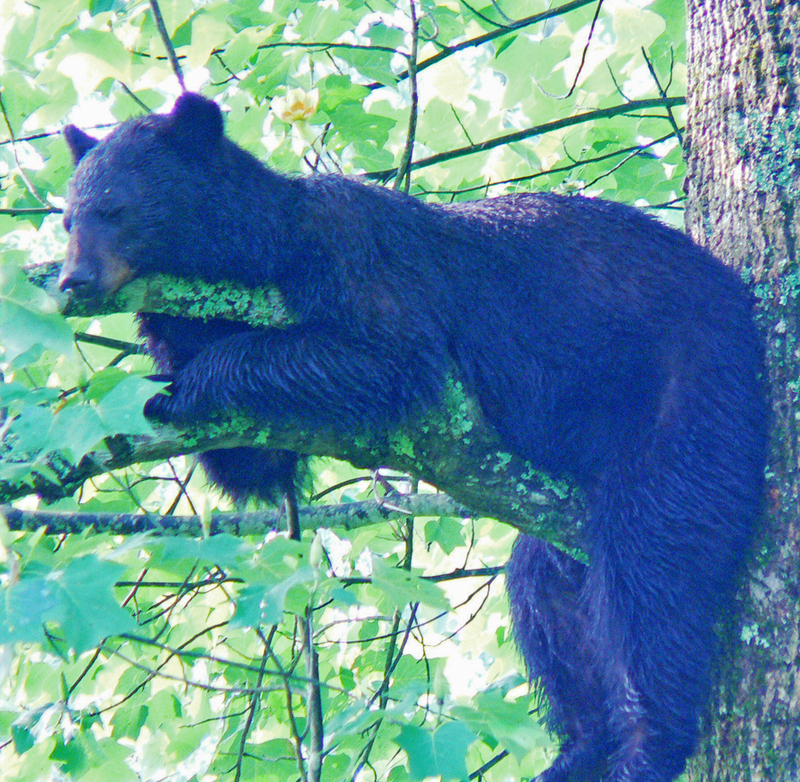 Unlike their cousins, the grizzlies, they do not hibernate. In the northern part of their habitat; they will remain in their den and dormant in winter. In Florida they may build dens in trees or palmetto thickets but do not become dormant. The only one I ever saw in Florida in the wild was in Ocala National Forest while researching my Wild About Florida books. If you want to see a bear in the wild in Florida, before FWC eliminates all of our bears, I would suggest Ocala National Forest. 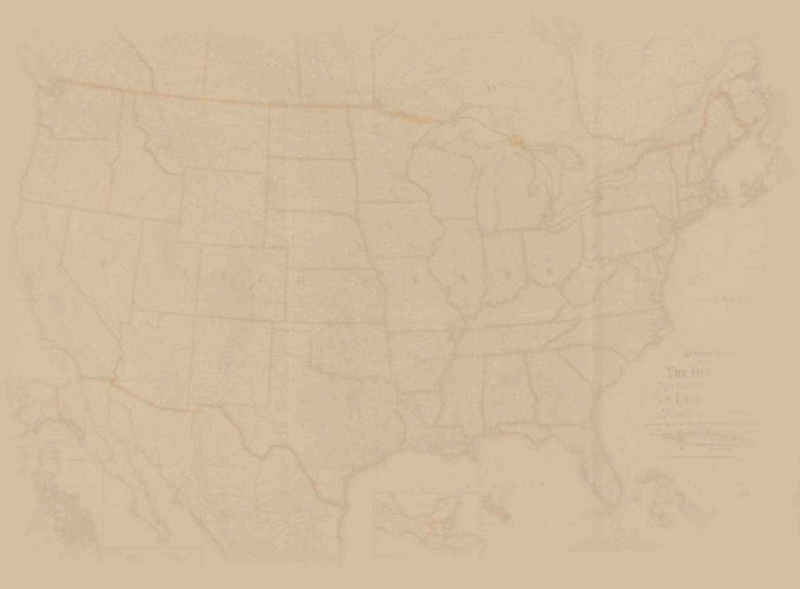 It's, 430,000 scenic acres of the most diverse terrain imaginable. It contains highlands, swamps, 600 lakes, countless ponds, 23 streams and springs of clear crystal water. It's bounded by the slow, dark waters of the Ocklawaha River on the west and the larger, faster moving St. Johns River on the east. Actually this vast forest is partially located in four counties: Marion, Lake, Putnam and Seminole. 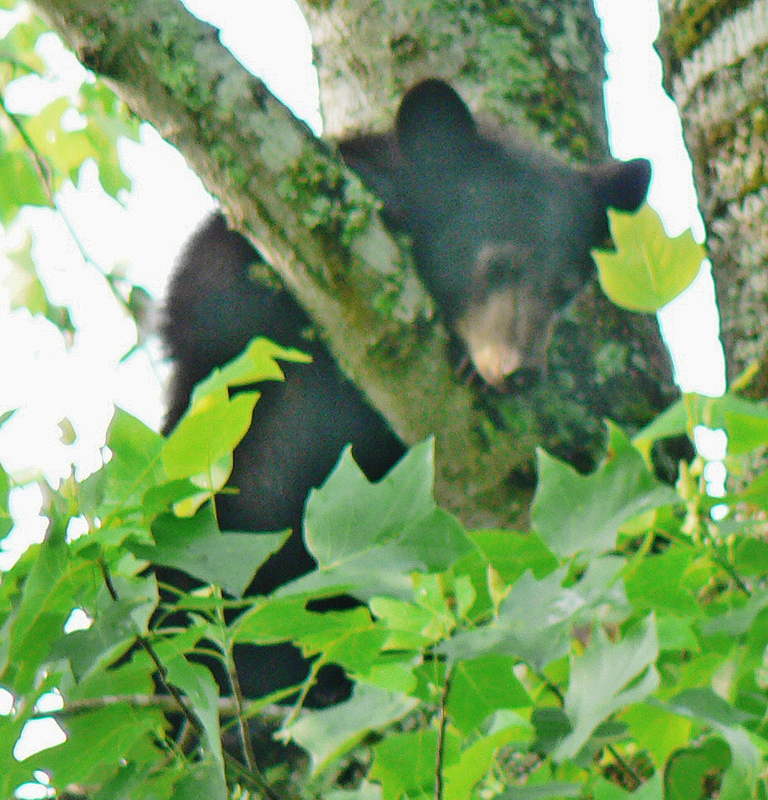 The forest is home to a multitude of animals and they probably have the largest population of black bears in the state. Our one memorable sighting there was on one of the forest roads off Hwy. 19 just south of Hwy. 40. A large black bear lumbered out of the woods and crossed the road just about 100 feet ahead of us. We were too surprised to get the camera focused on him before he entered the forest on the other side of the road and disappeared among the trees. The road was really rough and had lots of deep puddles so I suggest you have a four-wheel drive if you brave it. Sadly hunting is allowed here. We can only hope the one we saw was spared. If you're looking to see the Florida black bear in more traditional surroundings, many of the Florida zoos recognize the need to protect the beautiful creatures and have created special habitats..
Naples is home to Caribbean Gardens and has created Black Bear Hammock, the largest black bear exhibit at any Association of Zoos and Aquariums accredited zoo east of the Mississippi. It allows the bear to romp in a suburban style backyard setting with a picnic table and kiddy pool as well as the more natural traditional habitat. The traditional habitat shows some of what had destroyed the bears' homeland over the years in Florida. Human intrusion is displayed by means of some cypress stumps and logs, a shack, and a railroad trestle over a series of descending pools. The display is home to two bears rescued several years ago. These bears will not be bored. Central Florida Zoological Park and Botanical Gardens is the crowning jewel of Seminole County. It's a small but well maintained zoo. 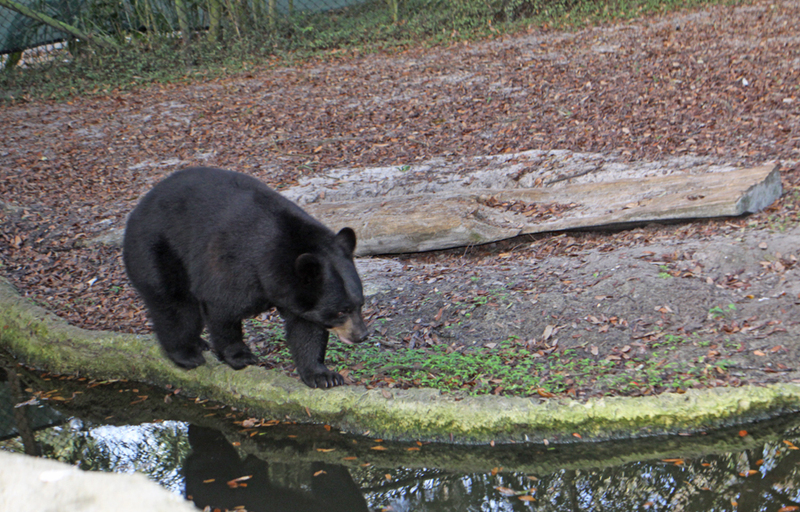 Central Florida Zoo is working on Florida Black Bear Habitat. 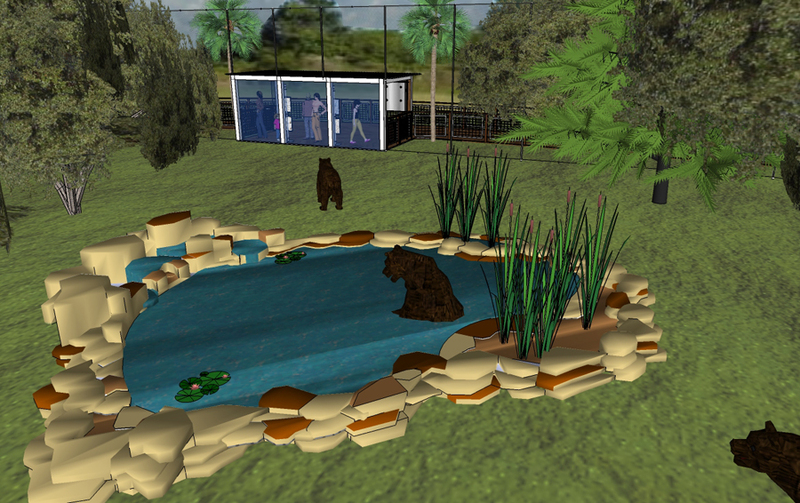 It will house three bears in two separate exhibits. 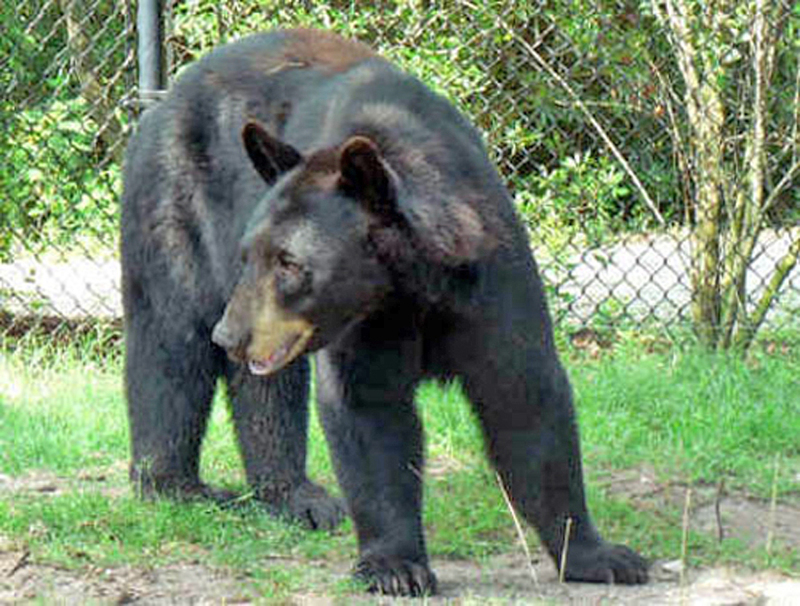 One is a bear that attacked a Seminole County resident in 2013 and was captured by Florida wildlife officers. 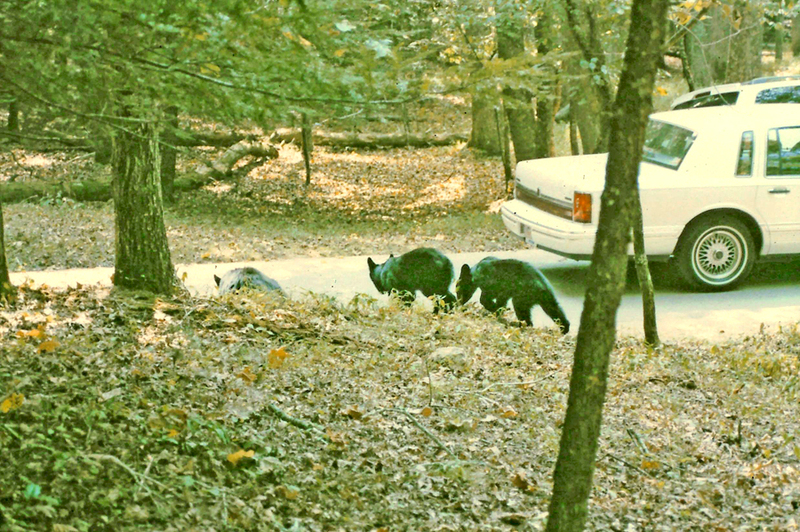 The bear had three cubs. One was killed by a car before it could be captured. The other two were raised and later released in Ocala National Forest. Incidentally although the mother bear was spared because of her babies, two other innocent bears were killed after the attack. DNA tests done after the bears were dead, proved they had not been the ones to attack the woman. 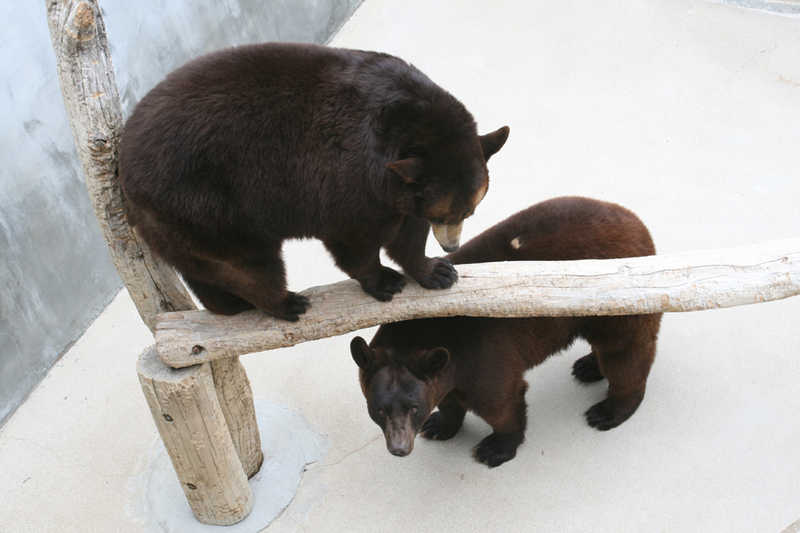 The other two bears in the exhibit are a brother and sister which were being kept illegally by some loggers in Georgia. The cubs were far too used to interacting with people to release them in the wild. Too often this is the problem people cause when they feed and encourage bears and do not realize they are setting the stage for a tragedy. 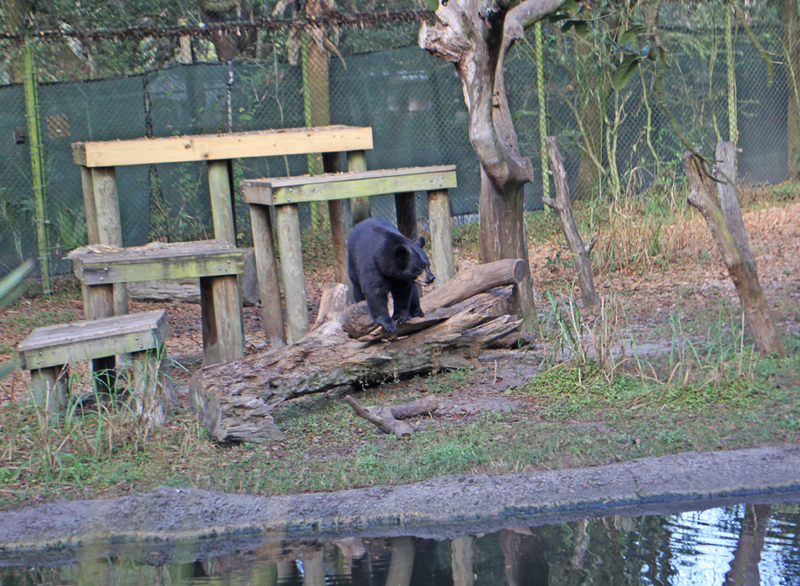 Their brochure states the reason behind the new habitat: "There has never been a more urgent time than now to educate the community of Central Florida about living with the Florida black bear. Our community has grown and we have encroached on a valuable and necessary part of our Florida ecosystem; the black bear." Alix Black, Business Communications Manager at Central Florida Zoo, said it is for this reason, "We are also offering free bear presentations to groups in the community. The presentations are educational and instructional and are loaded with info about bears and tips on how to live safely with bears." Palm Beach Zoo began in the 1950s when Paul Dreher, Parks Director for the City of West Palm Beach, started it as a garden with a few chickens, two ducks, a goose and a goat. It has grown and become a institution in West Palm Beach. Its mission is to "protect wildlife and wildlife habitat, and to inspire others to value and conserve the natural world." 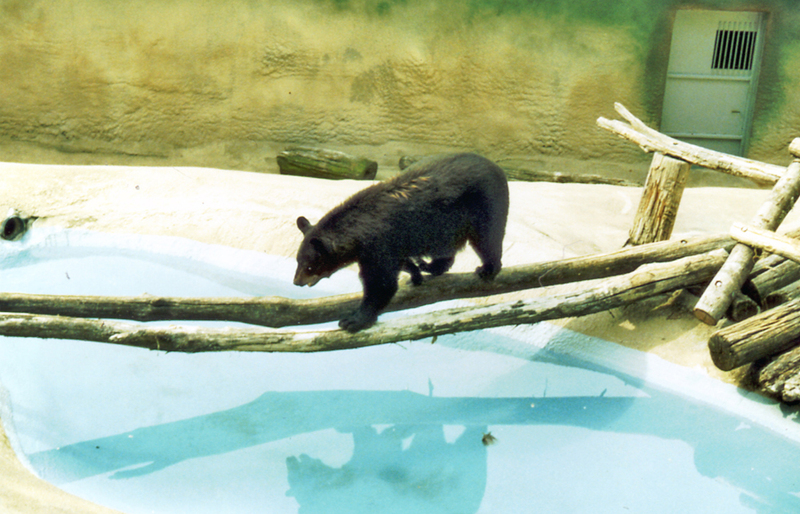 To fulfill this, one of the programs it has instituted is a unique interactive experience with their resident bears, Lewis and Clark. It's a behind the scenes look at the bear habitat in the zoo called the "Oh, Honey" Experience. Visitors are given a lot of information as they tour the dens and then get to feed the bears some honey. It's a simple training sequence keepers do automatically but for a person who had never worked with a bear it is an unbelievable experience. The point of the experience is not only the fun. It's a chance to learn ways to respect and protect these precious creatures. Jacksonville Zoo is one of Florida's oldest and largest zoos. It brought in its first bear in the 1960s and have fostered and protected this native animal ever since. It's Wild Florida habitat is a 2.5 acre natural wetland that is home to the bears, wolves, cranes, bald eagles, bobcats, deer and owls as well as alligators and some of Florida's reptiles and many other interesting animals. Lowry Park Zoo in Tampa is one of the country's favorite zoos. Voted the #1 Zoo in the U.S. by Parents Magazine in 2009, it offers a special children's section as well as many educational and fun exhibits for all ages. It is currently providing a safe home to three bears that would have been killed otherwise. Lisa, one of the bear keepers, told me about them. "Newberry came from around Homosassa, Florida. She is about 3 years old now but was about 6 month old when we got her." They do not know how she was orphaned. Bear cubs stay with the mother for much longer than most animals, from 16 months to two years. This is how they learn to forage and care for themselves just like human young. Bears who lose their mothers before this often do not know how to survive. Campbell, their other female, came from Montana at about the same time and age. She too was found orphaned. She was kept at a rehab facility for awhile but got too used to human contact so could not be released. Sam, their male, is the oldest, about 13 years old. He has been here the longest, over 10 years. He originally lived in Missouri but had gotten into the habit of rummaging in trash cans looking for an easy meal. Lisa and her fellow keepers do not have an official "keeper talk" but she told me, "Especially in summer when the bears are more active, we do a midday feeding where we throw food to them and talk to people about the bears." Newberry strolling along her "stream"
Bears are safe in zoos at least for now. In Texas and Missouri, gun toters are going to court to be allowed to bring guns into zoos on public property where traditionally they are not allowed. Considering the number of children visiting zoos, who knows how this will work out? Maybe they want to shoot bears in there as well as in the wild. I know there are those who say zoos are like a jail. Modern zoos are no longer those places with restless animals pacing in tiny cages. They are trying to match the native habitat and provide mental and physical stimulation for their animals. One of the things many zoos are doing is captive breeding programs. They recognize this may be the only chance to prevent extinction in endangered and threatened species. The Species Survival Plan (SSP) was developed by the Association of Zoos and Aquariums (AZA) in 1981. Of the eight bear species, black and brown bears are not included since 2012when they were on the endangered list but if this type of dangerous hunting continues in Florida (or anywhere) they could be added again. If they gave an award for the most unique wildlife rescue sanctuary, it would surely go to C.A.R.E. Foundation Standing for Creating Animal Respect and Education. Christin Burford, the director and driving force behind C.A.R.E., has been working to relive the plight of abused and homeless animals since 1996, when she founded the C.A.R.E. 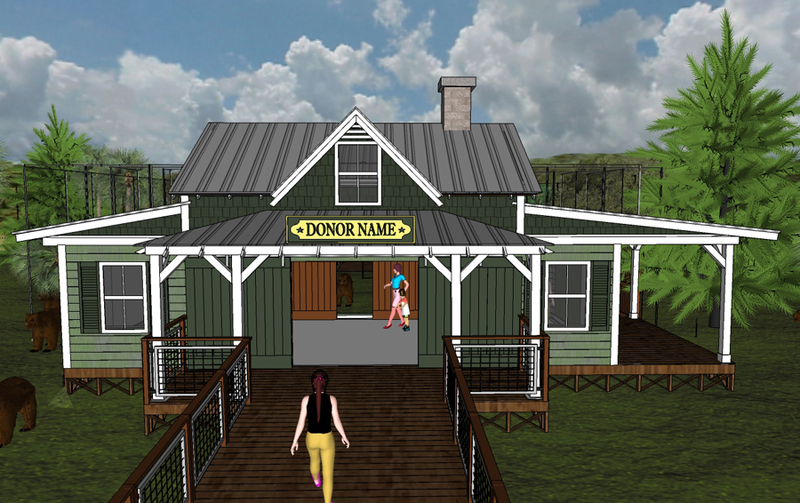 Foundation to provide a home for non-releasable exotic animals that would otherwise be difficult or impossible to place. She had brought together species that normally would not interact but at her facility they are best friends such as a pop bellied pig and a small Yorkie. CARE is one of the refuges that take in bears that need to be housed where they cannot interact in the wild with humans. The two resident black bears at CARE are Quinn and Lola. Quinn was declawed as a baby and raised with people so he could never go back in the wild. Lola was used in a Florida TV show and then was going to be auctioned off (probably for a canned hunt). Both have safe homes today thanks to this wonderful facility. Zoos and refuges offer other alternatives to bear/human problems besides killing the bear. When there is a bear and human conflict where the bear cannot be relocated to a safe place in the wild, zoos and refuges are a viable alternative. If FWC feels there are too many bears, spay and neutering is yet another option. Last case scenario, when bears have to be killed, it could be done mercifully by rounding up the older sick bears and humanely putting them down. Allowing people to pay for the right to kill this magnificent creature is as barbaric as the spectacles in ancient Rome where people paid to see humans fed to lions and gladiators fight to the death. Have we not risen above this level of "sport?"